When it comes to lazy day readers, there are few things that I love more than a good cozy mystery. Especially when there is food involved! 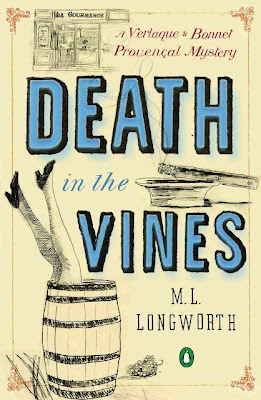 Death in the Vines is a wonderful new novel from writer M. L. Longworth that combines all of the above and more (it's set in Provence!) --a wonderful and breezy read that's just perfect for these hot, late-spring days. Francophiles, and foodies will adore this who-done-it with a beautiful European setting. In her riveting follow-up to Death at the Chateau Bremont and Murder in the Rue Dumas, M. L. Longworth evokes the sights and sounds of late-summer Provence, where the mistral blows and death comes in the most unexpected places. Olivier Bonnard, the owner of Domaine Beauclaire winery, is devastated when he discovers the theft of a priceless cache of rare vintages. Soon after, Monsieur Gilles d’Arras reports that his wife, Pauline, has vanished from their lavish apartment. As Judge Antoine Verlaque and Commissioner Paulik tackle the case (with a little help from Marine Bonnet), they receive an urgent call: Bonnard has just found Madame d’Arras—dead in his vineyard. Leave a comment below telling me the best book you've read lately. 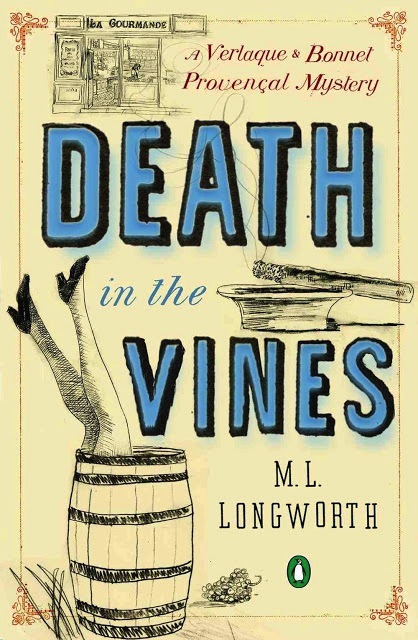 One winner will be selected randomly to receive a copy of Death in the Vines by M. L. Longworth. Rules: US residents only. Contest entries must be in by Thursday, June 13 at 5pm EST. One entry per person. You must sign in with a valid email address or leave an email in your comment so you can be contacted if you win. Winners must reply within 3 days of receiving notification of winning, otherwise another winner will be selected.